Hello everyone! 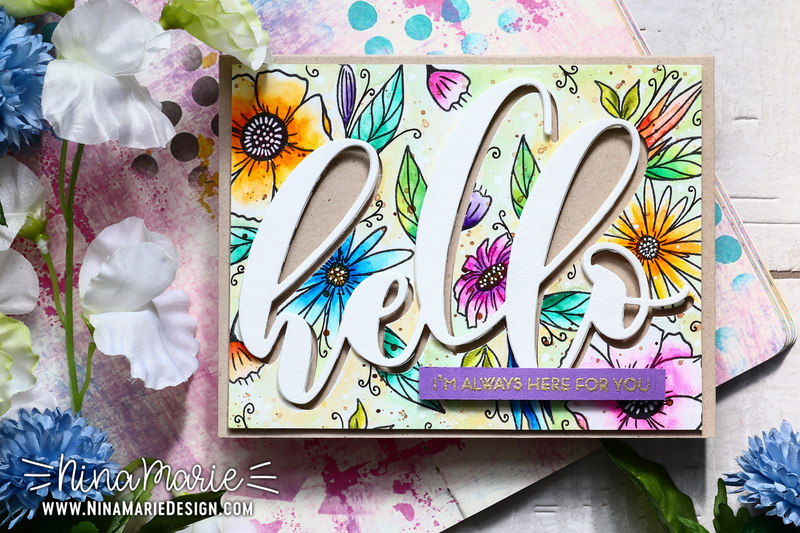 I am so excited to be back with you today, sharing inspiration using the new April release from Altenew! 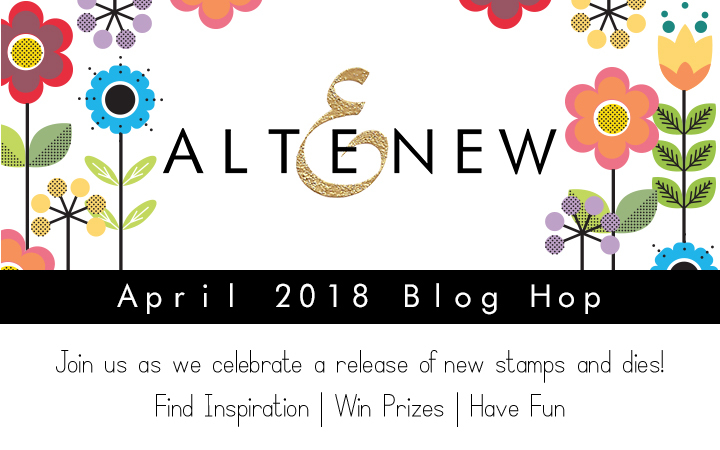 To celebrate the new release, Altenew is hosting a huge blog hop, full of fabulous inspiration! If you have already been hopping along with us, you should have arrived from my super-sweet and talented friend, May Sukyong Park’s blog! I was really looking forward to playing with the Watercolor Dots stamp set. The cute painted polka dot pattern with fun accent elements seemed like they would be awesome for creating colorful backgrounds… and I think they do! I used masking and a rainbow of Altenew ink colors to stamp the dot background; then I used black and slightly darker shades of colored inks to stamp the accents onto some of the dots. I love balancing colors with, so I chose to die cut the beautiful You Are Loved die from three different colors of cardstock; this die is meant to be one single piece, but I trimmed each word out for something a bit different. For the color balancing, I made sure that the pink and teal colors were opposite of those colors in the background. This helps the sentiment stand out, but also have a cohesive look. The card was finished off by adding some Spectrum Noir shimmer pen onto the words and some of the polka dots in the background. 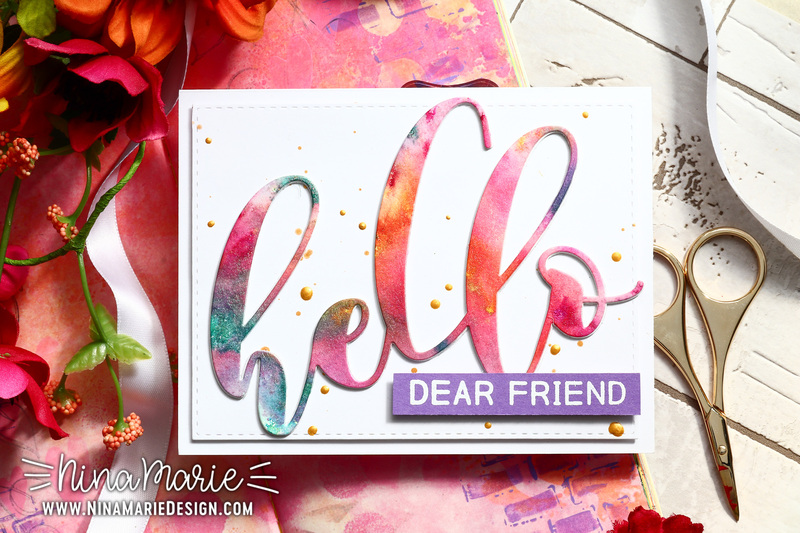 This next card I created features the beautiful Mega Hello die and Mega Greetings stamp set. These greetings from both sets are indeed HUGE! The are so big that you could make a simple card like this one and it looks gorgeous because the greetings are the focal point. 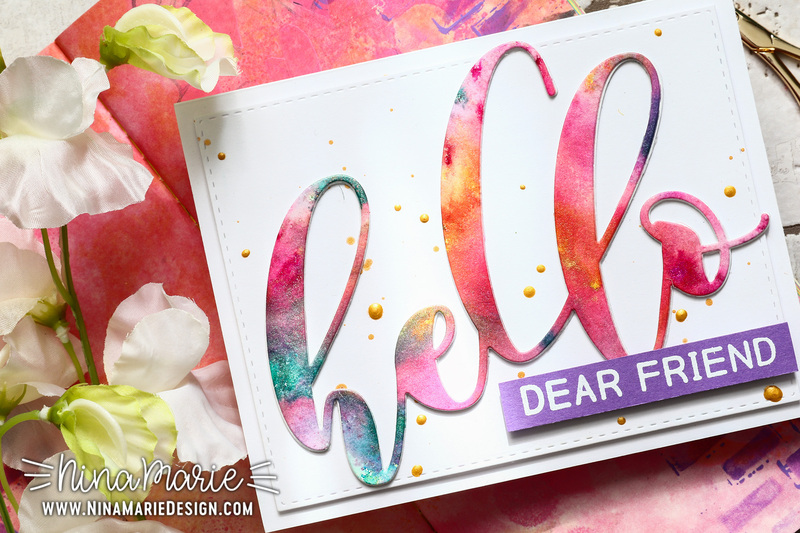 In this card I die cut the word hello from a background I made with Tonic Studios’ Shimmer Powders. I layered the die cut onto a couple more hello words, giving the top layer lots of dimension. The rest of the sentiment is white heat embossed onto purple cardstock, which helps draw out the subtle purples in the hello die cut. The card base features some pretty, dimensional gold paint splatters. I really love the look of Prima’s Art Alchemy acrylic paints; their metallics are so beautiful, and of course acrylic maintains its dimensionality. This adds the perfect finishing touch to a simple card like this one. I had so much fun with the Mega Hello die that I had to create another card using it! This time I stamped some florals around the negative space that was created from cutting the watercolor paper. Then I painted the florals with Prima Watercolor Confections, filled in the background with a light wash of watercolor and even added a few doodled details! I popped the negative space panel up off of a kraft card base and layered the word I had cut out of that paper off of that, creating an offset. 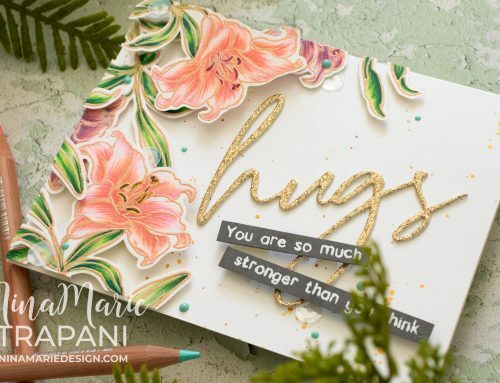 The supporting sentiment I gold heat embossed onto purple cardstock was from the Strength Blooms stamp set, which is full of uplifting greetings (and pretty layering florals). 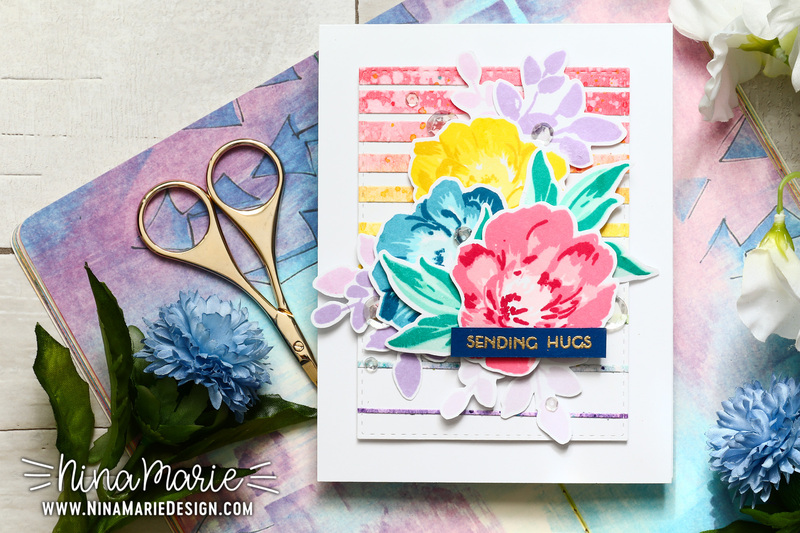 Speaking of those Strength Blooms florals… I used those here on this colorful card, along with the fun Gradient Stripes background! The background was ink blended with Distress Oxide inks and I added a few splatters to it before trimming it down with the Gradient Stripes background die. 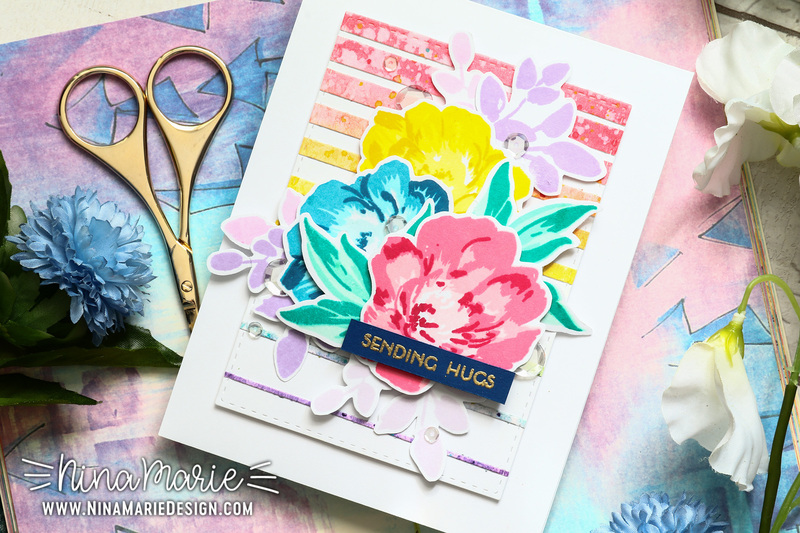 The flowers from the Strength Blooms stamp set are layering stamps and I chose specific colors from Altenew’s layering inks to best match the colors I used in the background. I have a definite rainbow theme going on here, and again, I tried to keep a balance between the colors in the background versus the colors in the florals. The biggest floral within the arrangement is the pink blossom. Because it is the biggest, I made sure this one was opposite of the pink in the background that is on the top. This helps visually ground the colors, since there are lots of them in this card! I also chose to use navy for the sentiment label, as it is placed in the general area as the blue stripes and helps to subtly finish the mostly-hidden navy stripe in my background. With so much color in this card, I kept the rest of the design fairly clean, and added just a few Sparkling Clear sequins tucked in and around the florals for a bit of sparkle! 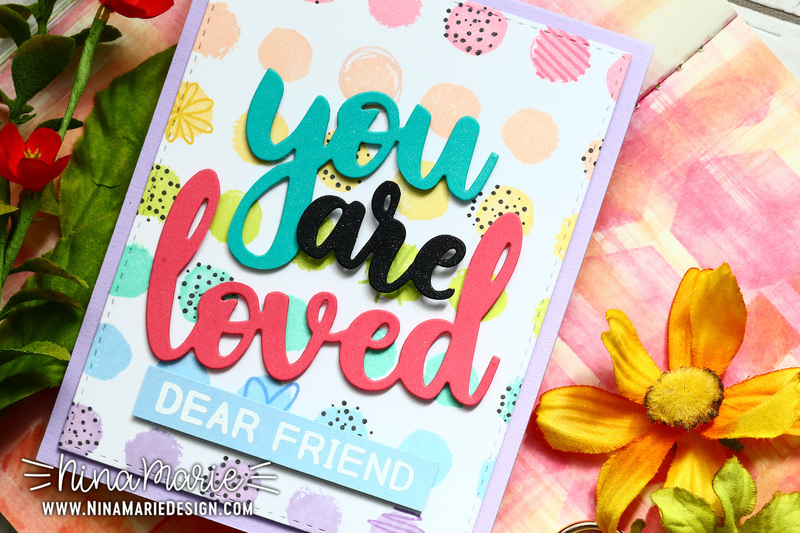 I hope these cards have inspired you with fresh ideas for creating with some of the newest stamps and dies from Altenew! Be sure to keep reading for the next stop in the hop, plus giveaways! To celebrate this release, Altenew is generously giving away a $50 gift certificate to 6 lucky winners! Please leave a comment on the Altenew Card Blog and/or Altenew Scrapbook Blog by Saturday, April 21st for a chance to win. Winners will be announced on the Altenew blogs on April 22nd. I’m also giving away and $30 gift certificate to Altenew as well! You can leave a comment here on my blog for a chance to win, and I’ll be choosing the winner by April 21st (the winner will be announced shortly thereafter). You always share such CHEERY designs! Gorgeous cards! 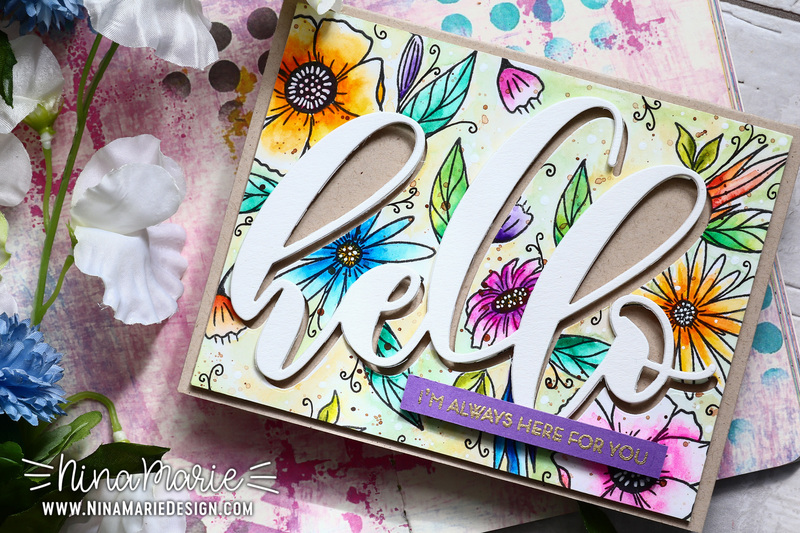 Love that big ‘hello’ die and the fun polka dot background stamp! Your cards are so bright and cheerful! They make me happy just looking at them. The Watercolor Dots set looks like such fun. Your style is always so inventive. Thanks for sharing the technique video. Wow!! Absolutely Gorgeous cards! love all these vibrant colors and amazing ideas. Thanks for the inspiration. Stunning cards, and I especially love the rainbow-hued Watercolor Dots card… Thank you for the inspiration! Such fantabulous creations. So colourful 😍. Thanks for sharing. 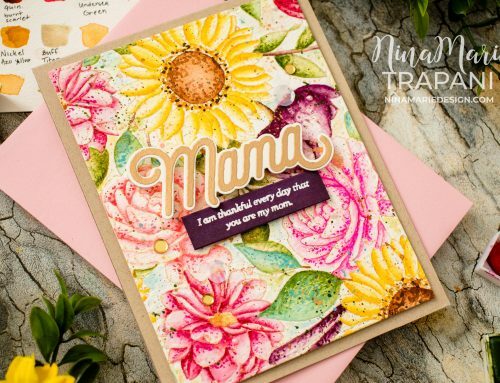 Such amazing cards–the colors you used are bold and beautiful! Thanks for sharing your ideas and talent! Color, color, color! Just love them. So vibrant! Beautiful cards love the colors! Thank you for the inspiration! A wonderful release. All the stamps are fabulous and your cards are so colorful. Oh my-as I scrolled down to look at your projects, each was prettier than the last–simply amazing! You certain had me at “Hello”. 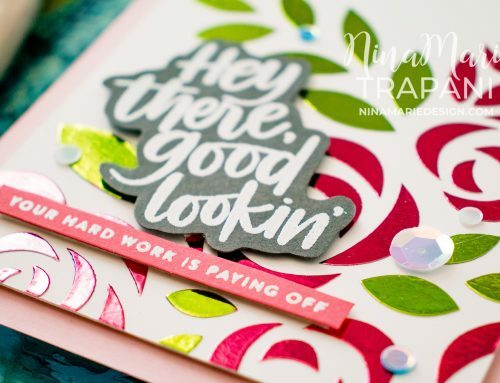 Great job Nina and I greatly enjoy your enthusiastic video’s–I can tell you love crafting! Thanks for showing us these wonderful new products from Altenew. 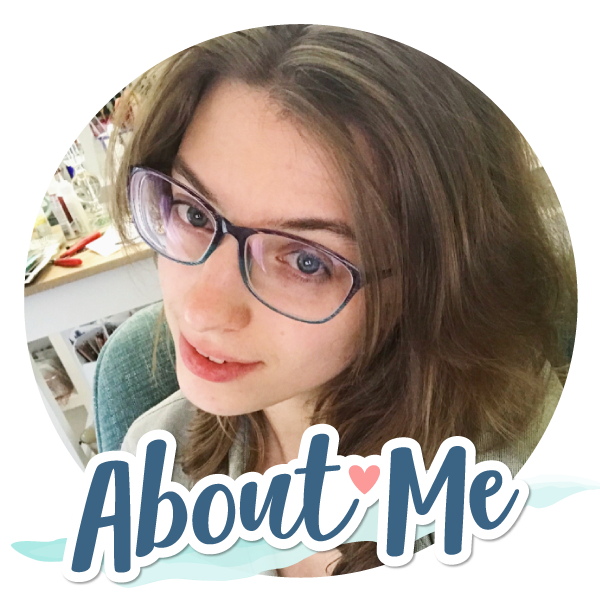 Amazing – loves your cards! These are so pretty. This release is amazing and you are so inspiring. Thanks for sharing. 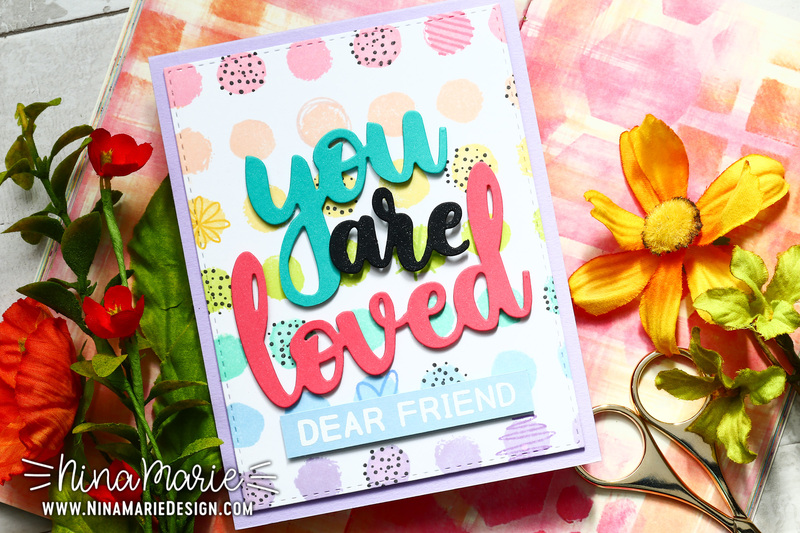 Such pretty cards – love the colors and all the layering.